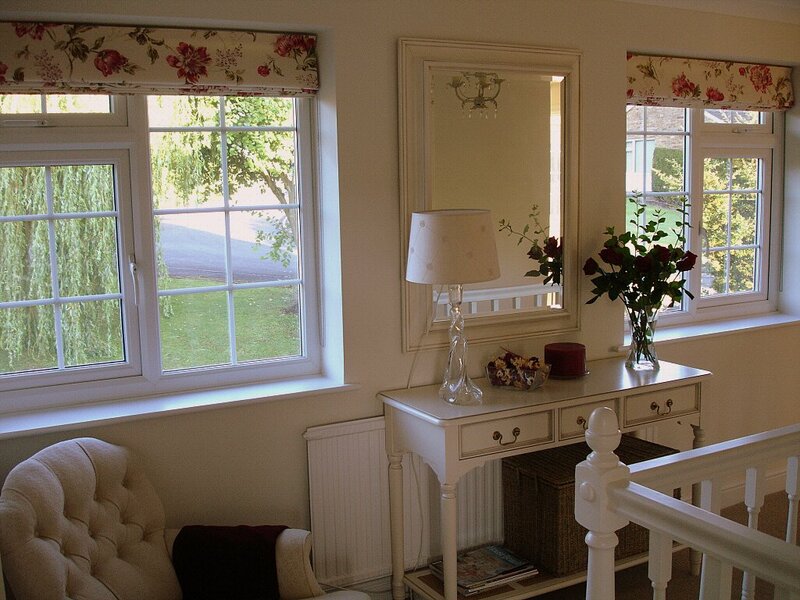 Calico Blinds create Roman Blinds for you using your own fabric, all of this is done by mail order and your bespoke blind will be delivered by courier directly to your door within 4 weeks. This Roman Blind was made with a blackout inner lining for a small child's bedroom. As the child gets older you might want to change the furnishings and have a different blind. Calico Blinds can just make the Roman Blind for you using your measurements and the new fabric without the cost of buying another track. This can easily be fitted to your existing track by yourself at home with step by step instructions or if you are local to Bristol this can be done for you.